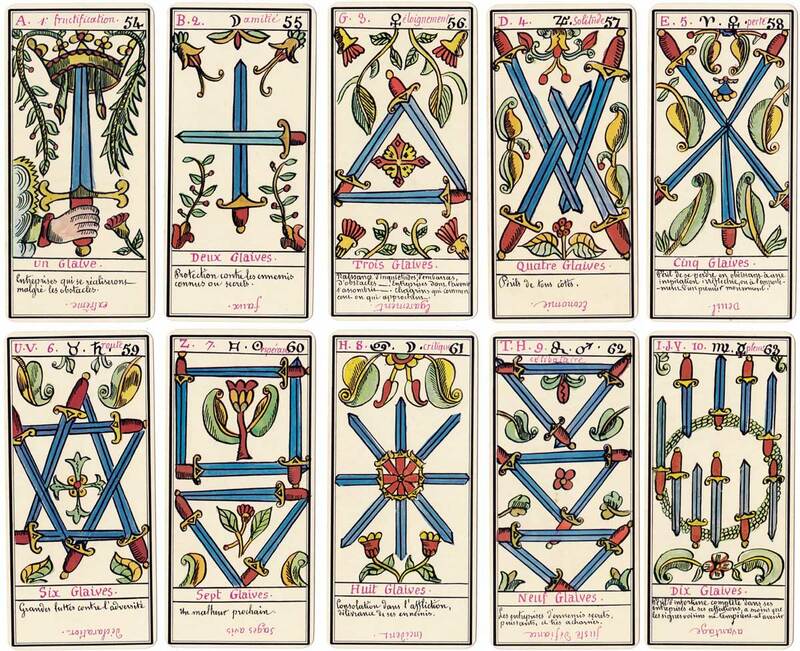 Le Grand Tarot Belline was produced after drawings by Edmond Billaudot (1829-1881) who was also known as Magus Edmond. 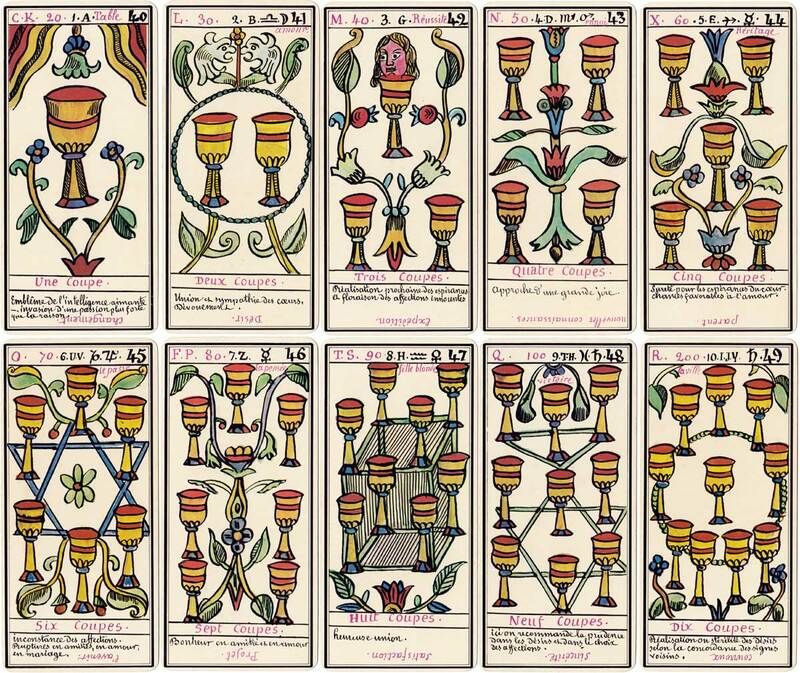 It superficially resembles the Tarot de Marseille, but differs from it in time, design and symbolism, especially the numeral cards. 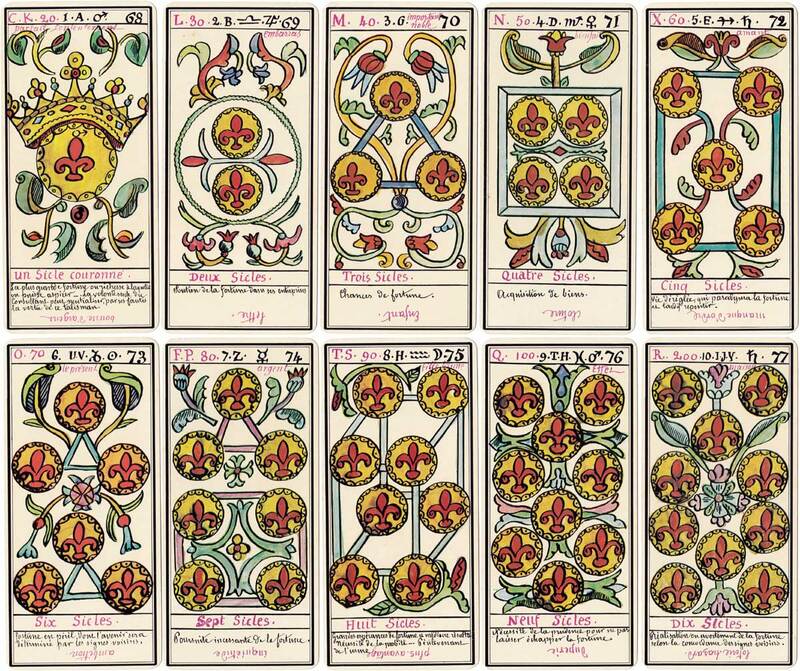 The deck bequeaths ideas from a succession of well-known 18th & 19th century occultists and incorporates kabalistic, astrological and Egyptian influences, as well as the philosophical musings of Edmond Billaudot himself. A condensed cartomantic interpretation is hand-written on each card along with esoteric symbols and glyphs which facilitate the process of abstraction. 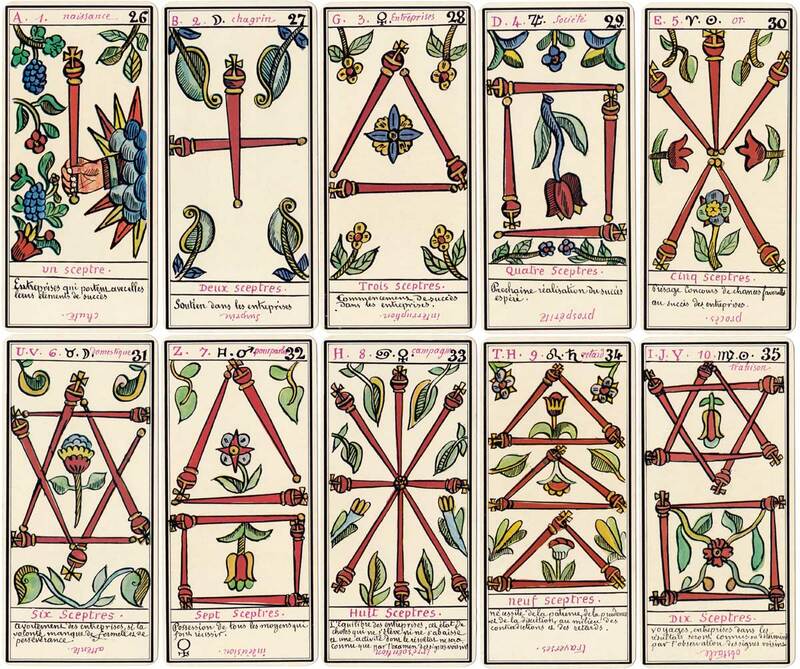 Above: Le Grand Tarot Belline after drawings by Edmond Billaudot published by Grimaud, 1966. All images courtesy Rex Pitts.